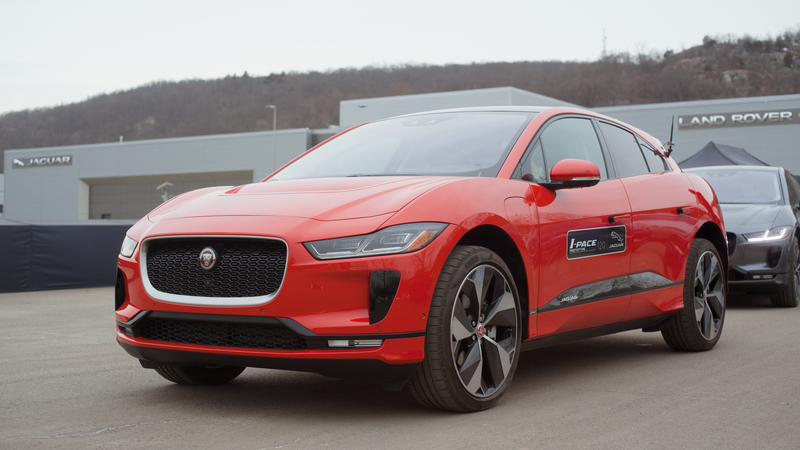 Many people have challenged the design team at Jaguar for slapping the corporate face on the innovative new Jaguar I-Pace, claiming it doesn’t need a grille if it’s electric. Jaguar wanted to set the record straight at the New York Auto Show, and it turns out the grille actually serves two vital functions. It’s easy to look at cars like the Tesla Model 3 and Nissan Leaf and assume that electric vehicles do not need an air intake like traditional internal combustion vehicles, but that’s not necessarily true. Cars like the Model 3 pill in air through holes in the bottom of the car for stuff like battery cooling. But the Jaguar I-Pace clearly does something different. The first purpose of the functional grille at the front of the I-Pace is to, you guessed it, provide airflow to aide cooling the big 90 kWh battery. But it serves a second, even cooler purpose. Jaguar designer Ian Callum cited the stillborn Jaguar C-X75 supercar concept in the design and functionality of the I-Pace. Not only are both vehicles loosely similar in their cab-forward layout, where the cabin in pushed farther towards the front axle, but the I-Pace also borrowed some aerodynamics. The intake grille is actually segmented in half behind the cat badge and mesh, with the lower half directing air to cool the batteries, and the top half directing air through the front of the car, up and over the windscreen and down the back through a hole in the hood. Jag even claims the directed airflow is powerful enough over the top of the car and down the rear window that there’s no need at all for a rear wiper blade. Evidently, water will just get blown away thanks to the directed airflow. So there you have it, haters. The I-Pace’s grille isn’t just a lazy copy-paste design, nor a lie straight from the heart of Ian Callum. It’s fully functional, and vital to the aerodynamic profile of the car. Plus, it looks good!